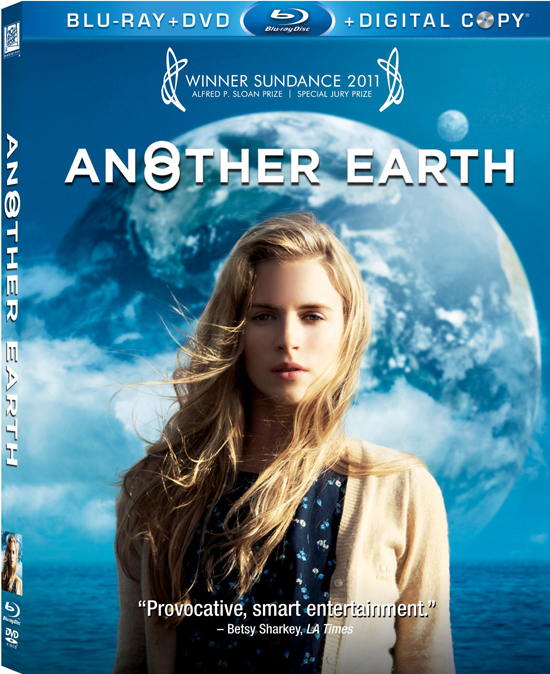 Attention all ANOTHER EARTH fans: today you can finally pick the movie up on Blu-ray/DVD combo, or if you prefer your films downloadable, iTunes. It's all a hop, skip and a click away, through the magic of the Internet. Rhoda Williams, a bright young woman accepted into MIT's astrophysics program, aspires to explore the cosmos. A brilliant composer, John Burroughs, has just reached the pinnacle of his profession and is about to have a second child with his loving wife. On the eve of the discovery of a duplicate Earth, tragedy strikes and the lives of these strangers become irrevocably intertwined. Estranged from the world and the selves they once knew, the two outsiders begin an unlikely love affair and reawaken to life. But when one is presented with the chance of a lifetime opportunity to travel to the other Earth and embrace an alternative reality, which new life will they choose. Before you watch the movie, why don't you meet your other you and say a quick howdy? Also, we've just released this awesome remix from Fall On Your Sword (who composed the entire soundtrack to ANOTHER EARTH), click here to check it out!